It is now 30 years since the world looked on with fascinated horror as the doors of Romania’s orphanages were opened to reveal the terrible conditions within – neglected children, harassed staff and inhumane conditions. 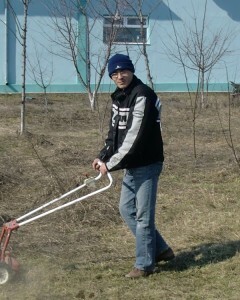 Many people felt moved to help and much was done to improve conditions for the children and the staff. Those children are now adults – pushed out into a world that they were ill-prepared to cope with. Some, like Mihai Gradinariu who appears in both the photos below, have achieved a successful transition, settling down and starting their own families. It is not easy for orphans without family connections to find jobs but many have done so. But what of those who have not fared so well? These people often lack social skills and a sense of purpose, and for some of them their experiences in the orphanage have left them with psychological scars which make it difficult to integrate into every-day life. Some of them receive small medical pensions from the state but most have no regular income. 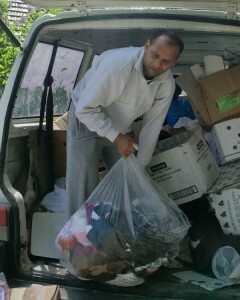 Working with other local people, Asociatia Neemia (AN) provides ongoing help to several such persons. Sponsorship from families in the UK allows us to cover the costs of renting rooms for them. We can pass on designated gift boxes containing food and clothing for them and we provide medical items, bedding and other necessities, and small cash payments as required to cover essential living expenses. 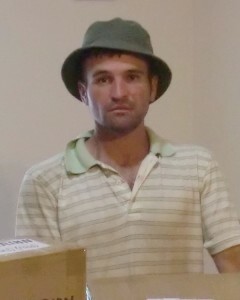 L: Nigel (34) has become a valuable member of the AN team – he enjoys helping with the aid distribution work and provides muscle when required. 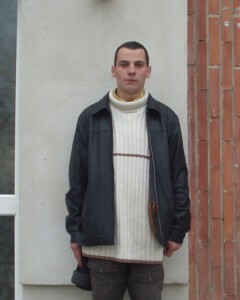 C: Marcel (28) likes to help around the office, tidying up and running errands. He can be impatient and tends to use his size and strident voice to gain attention. 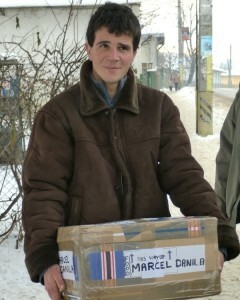 R: Constantin is a willing hand at the warehouse. Now aged 25, he did not receive his official state identity documents until early last year. 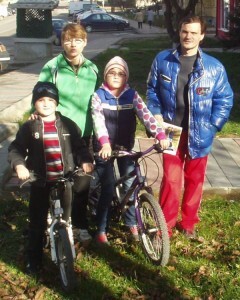 L: Ionut is now 30. He was living in a house infested with parasites and became one of the first boys sponsored for accommodation, some eight years ago. C: Ilie is 30. He was involved in a car accident which has left him requiring almost constant use of a catheter. 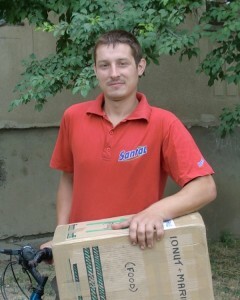 He has been in sponsored accommodation for three years. AN also provides for his medical needs whenever we are able. 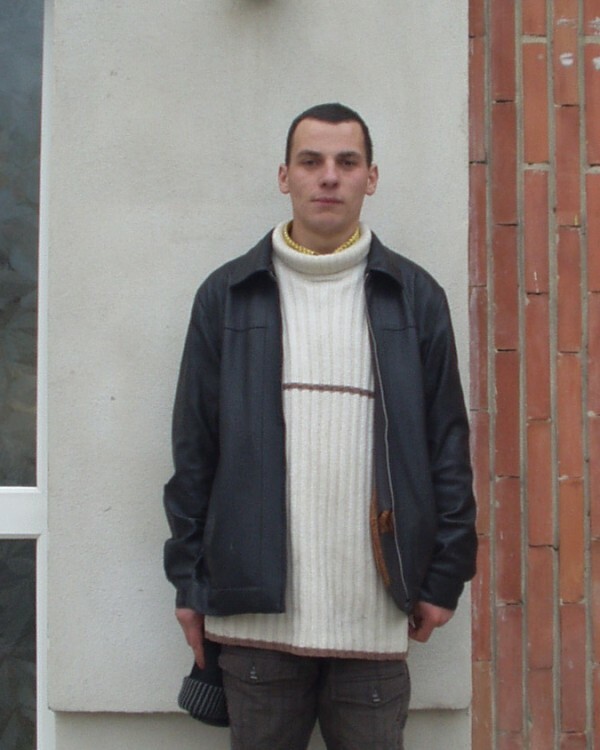 R: Marian, 26, completed school but has no job. He was sleeping in a pigsty with the pigs until AN found accommodation (and fresh clothes) for him . At present, accommodation comprises a number of rooms in different houses which are rented on a short-term basis. This is not very satisfactory as it is often poor quality accommodation lacking long-term security and the occupants often feel exploited by the landlords. Read more about Casa Neemia, an initiative to help some of these people to find a more stable home and a chance to integrate into local society.